Earlier we have seen HP distributing their Touchpad for $99 as stock clearance, which ultimately lead to a rush in the markets creating heavy demand for the same. The same may be the fate of the Dell Streak 7, as it is now made available for the consumers at an exclusive price of £99.97 (about $129). The Dell Streak 7 was not that popular while it was available in the market and may be because of that it was discontinued from sales officially. It is currently being made available on the British retailer Currys and is offered at the discounted price. The listing on their site shows the tablet being shipped with Froyo, but Dell earlier had started rolling out Honeycomb for the device a couple of months back. But as a consumer you should hurry if you really want one of these devices, because if it begins to rush as was for the Touchpad then you need to be very lucky. They are not made available for home delivery. They are only available to reserve and then collect it within an hour. They also are offering a three year Whatever Happens support for £22. 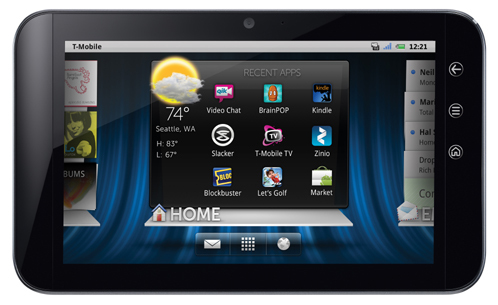 This model has a 7inch LCD Touch Screen and is powered by an NVIDIA Tegra 2 Dual-core processor. It is also equipped with an HD camera to its front and rear. This is really a great deal for the gadget lovers, so if you are the one you should really hurry up.